London: The city which is always living. The city that is truly worthy of being called International city. With a glorious past and glittering present, London is the city of dreams. Not just because everyone traveler wants to visit london but it’s in London most people are able to realize their dreams. London is not a city that can be visited just once but like a desperate girl it will make you crave for more. London is an ever evolving city. Yes, it may rain a lot but only makes London even more clean. It may Snow too during winters and London would be seen sparkling like a white diamond. But it is the hospitality and beauty of this city which casts its spell on people and most of them refuse to leave. There is so much to do in London that one will eventually run out of time. Walk along Thames: Take a walk along the lifeline of London and you will come across the major landmarks of London, the London Eye, Tower of London, Tate Modern. Go to a local bar. There are plenty of big famous bars which could be found in most metropolitan cities but don’t go to them. The best place to go would be some local bar with amazing ambience and delightful music. Travel in the tube to know about one of the worlds oldest Metro but stone of the most efficient. It is the best way to travel in this beautiful city. Along with the Tube the bus network in the city is very adept. Notting Hill: It has become a high street of sorts in last few years but this place in West London is known for its cafes, restaurants, shopping and clubbing. This place gained huge importance after a popular Hollywood movie was titled after this village. Trafalgar Square: It is the biggest and most beautiful square in London. It is also the place for political protests and the heart of London. London can be easily reached from any part of the world. 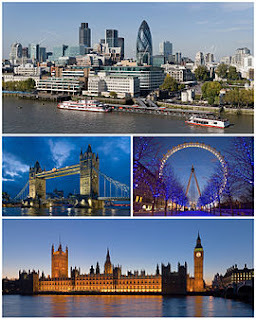 Cheap Flights to London are available from anywhere.